Snow covered mountains, fairytale castles and Christmas markets are just some of the seasonal treats in store for operators booking winter tours for 2019/20 in the UK and Europe. Albatross Travel has put together a selection of new Winter Tour itineraries for coach operators and group organisers visiting Switzerland, The Tyrol and Germany’s Bavarian Forest, as well as German Christmas markets and winter themed breaks in the UK. 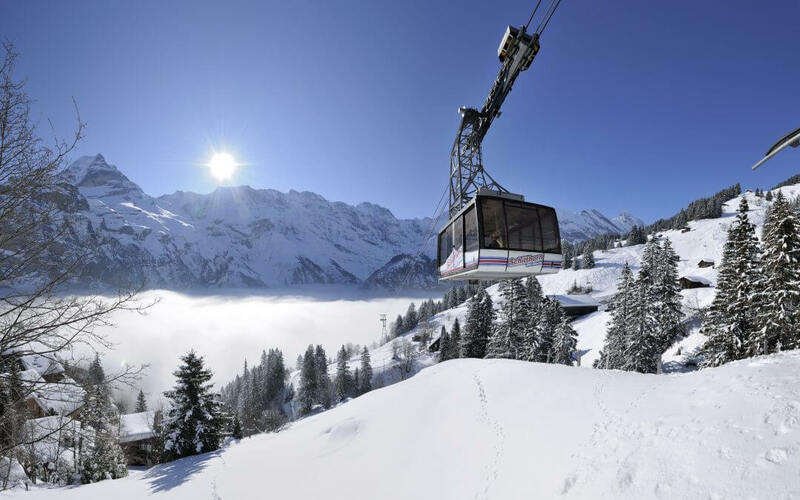 Highlights include A Romantic Journey to the Top of Europe – five days exploring the snow kissed Swiss landscape including a guided walking tour of Berne, a cruise of Lake Lucerne, plus a journey on the spectacular Schilthorn cable car to “James Bond Mountain’, where a mountain restaurant and Bond World 007 exhibition awaits visitors. The tour is based at the five star Romantik Hotel Schweizerhof, Grindelwald, in the Swiss Alps. Visits to three magical castles feature on the Riding High in the Tyrol itinerary. As well as the Hofburg Imperial Palace in Innsbruck there are tours to the 200-year-old Starkenburg Castle Brewery and its beer spa pools in Imst. The medieval Schattenburg Castle in Feldkirk, Austria is another stop on the five-day tour, which also includes a visit to Swarovski Crystal World. The Hotel Zum Lamm in Tarrenz, Tyrol, provides the accommodation during the stay. • Freiburg Christmas Market In the heart of the historical old city centre, offering a multitude of traditional crafts such as glass blowing and colourful wooden toys. • Ravenna Gorge Christmas Market is the only Christmas market located in a gorge set under the Ravenna Bridge, a 58m high railway viaduct. Offering a truly romantic atmosphere, a small village of little wooden huts sell handicrafts from the Black Forest. • Hohenzollern Castle Christmas Market is rightly regarded as one of the most beautiful Christmas markets in Germany. A lovely atmosphere of twinkling lights, seasonal food and drink and local stallholders provide a festive treat. Back in the UK steam enthusiasts will love celebrating the festive season with mince pies and mulled wine on the Ravenglass & Eskdale Steam Railway in the Lake District. Also included in the five-day itinerary is a private guided tour of Muncaster Gardens and the Hawk & Owl Centre located in the castle grounds. The tour is based at the Best Western Plus Castle Inn Hotel in Keswick.